It is usually used within manufacturing contexts to produce hand tools, power tools, stamping dies, axes, pickaxes, injection molding machinery and other kinds of heavy equipment. Steel Tubing – Block Steel Corp.
Tool steel is often used to build equipment that machines and cuts other types of metal. It is used in metal drawing, blanking, stamping, slitting, forming and embossing operations because of its hardness relative to the metal that it processes. The American Iron and Steel Institute assigns tool steel grades that are used to determine tool steel’s use. A tool steel’s grade also identifies special characteristics of a given tool steel variety; such characteristics include chemical composition and reactivity. 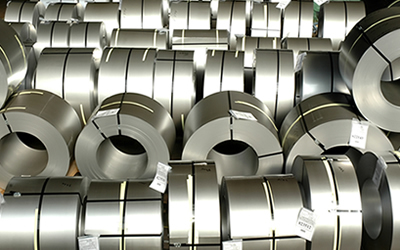 There are 11 tool steel grades, each of which is represented by a letter. Grade A tool steel, for example, is used for cold working processes, while grade P tool steel is used for plastic molding. Every tool steel grade is characterized by high strength and moderate to high carbon content. In order to gain the desired hardness for metal processing, tool steel is carefully created during a precise alloying process. Tool steel is produced in annealed condition, which means it is heated and formed into a desired shape and post-processed, which hardens the steel. There are many methods of producing tool steel. One common method is air hardening, in which case the steel, after annealing, is cooled and hardened by air. Another very common hardening method is oil hardening, in which the steel is dipped in oil for hardening purposes. Water hardening is also common and involves dipping the hot steel into hot water, which causes the steel to become cool. There are three general classes of steel, each of which indicates appropriate applications and temperature resistance. The first is called cold work steel, which is used in environments with lower operating temperatures. Hot work steel is exactly the same as cold work, but is used in operations when the metal becomes red-hot and pliable. Finally, high speed steel is able to maintain its properties in operating areas of more than 1,000°F. High speed steel is so named because it is used in drill bits and saw blades that are used to cut at very fast speeds; it can operate under these conditions because of its temperature resistance. Tool Steel Tool steel is hard, abrasion resistant steel that has the ability to hold a cutting edge and has resistance to deformation at high temperatures.